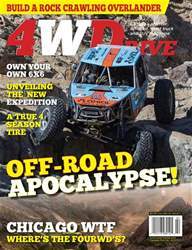 This issue boasts the annual King of Hammers event, with an eye-witness report and as many incredible pictures as these pages would allow. We also cover the Ontario 4x4 community’s wildly successful Rally of Abandoned Ontario, which was conceived as a fun event to get a few people out exploring in the winter, but grew to a huge gathering of 105 vehicles and over 200 people from kilometres away, all competing for the title of Rally Champion. We preview Ford’s new Expedition, and review Toyo Celsius and Falken Wildpeak A/T3W tires, as well as the Ingersoll Rand WS5132 impact tool. 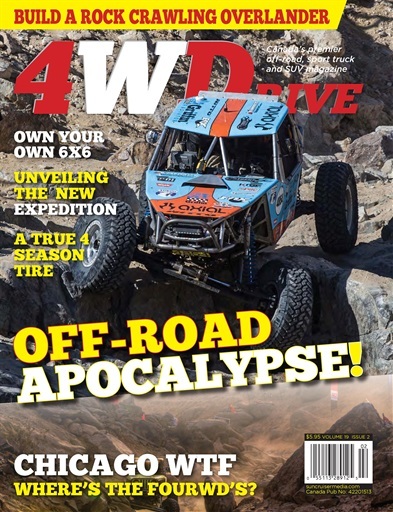 Editor Stanley gives you the lowdown on the growing trend of 6x6 offroaders, with Six 6x6’s You Can Own Now. All this plus our New Product Showcase and Industry News.